Organ donations from deceased donors provide the majority of transplanted organs in the United States, and one deceased donor can save numerous lives by providing multiple organs. Nevertheless, most Americans are not registered organ donors despite the relative ease of becoming one. We study in the laboratory an experimental game modeled on the decision to register as an organ donor, and investigate how changes in the management of organ waiting lists might impact donations. We find that an organ allocation policy giving priority on waiting lists to those who previously registered as donors has a significant positive impact on registration. 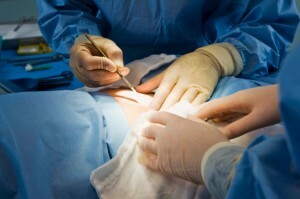 It may be that the donor-priority organ allocation policy increases registration rates in part because the allocation rules allow for non-donors to be excluded (or to have a smaller probability of receiving an organ), effectively turning the registry into a club good and generating an incentive to become a donor. What if we were to require anyone who wants to obtain a motorcycle license to be an organ donor, and then remove all helmet requirements? I've been friends with quite a few nurses and doctors who shake their heads whenever they see a motorcyclist w/o a helmet, calling them "Donor Bikers" because if they get into an accident w/o a helmet, they're usually immediately braindead but with intact and usable organs. What if someone couldn't be an organ donor? There's several congenital disease that make it impossible for a person to be a tissue My father was told he couldn't donate after he had cancer for at least ten years, and was advised by his oncologist to never donate, just in case some of the cells had gotten through the treatment and were hiding elsewhere in his system. My wife says she would be happy to be an organ donor but only with a stipulation--that none of her organs get donated to patients whose organs have been damaged as a result of drug and alcohol abuse. As for me, I think organ donation makes great sense in general but no sense for an individual. It's kind of like trusting the clergy and the cops. Doctors are human too and if your organs will fit into someone they really care about, some doctors will harvest yours. Besides, there's nothing in it for me. Maybe a policy of being at the head of the list if you also choose to donate organs makes great sense. Hey, my cold corpse will go to medical science. So it's not a total loss. As I was reading through this post, the hypothesis I was starting to develop was that if priority for organ donation were given to those who were already organ donors, more people would likely sign-up to be organ donors. I was happy to see that this was the finding of the study. In the final excerpt, the authors flesh out their conclusions a little more. However, it is not clear to me whether or not they had one of their experimental groups faced with the possibility that "unless they were on the organ donor list, they could not receive an organ." I wonder if this would increase the # of organ donors (higher than just the idea of "club good"), or if this would make people bitter and cause them to resent the system. It'd be worth looking into. I'm seeing the possibility of abuse here. Someone can sign up to be an organ donor to get preferential treatment. I would suggest that they require a person be an organ donor for at least a year (or some other number that works better) before they can receive preferential status on donor waiting lists. Didn't they account for that with the following: "those who previously registered as donors"
Anyway, I think this is a better solution than the often opted "presumed consent" due to the legal difficulties with presumed consent. I also agree with Erik Jones' wife that not all patients have the same "right" to my organs. However, I can't see a good solid (legal) policy which could account for that, and what would happen when my organs are not compatible with patients who need organs due to 'force majeur' but is for a patient who needs one due to alcohol/drug abuse. Who am I to decide who's life is "more valuable"? Due to the many ethical problems surrounding organ donation, the medical difficulties in making a transplant succeed and the impact death has on family and friends, I am not (yet) registered as a donor but have 'agreed' with my mother that in case I die (before her) she may make the decision whether or not to donate my organs. I think, however, that when push comes to shove she'd rather not have "them cut me up". It is an interesting dilemma though because we all wish there were more donors when we are in desperate need of an organ. If I'm hearing you right, you're saying you're mother would prefer that your no longer needed bio-hazardous waste (your dead body) be supplied to bug and microbes as a food source instead of being used to save the life of a dying human. This blog seems to be obsessed with influencing other people's behavior. Uh, yeah that's kind of the point of economic policy. Is there any truth to the conspiracy theory that there is some risk to being an organ donor as doctors may not say your life to instead use your organs to save a few lives? A few people have given me this theory when I tell them I'm an organ donor, and at first I laughed it off, but after more than one person said it, and some even said they had heard it from friends in the medical industry, I got a little nervous. None at all. In fact, by law, it's not even the same people doing these two "halves" of the job. The doctor who is trying to save your life has you as his SOLE patient, and losing you is kind of a blot on his reputation. The transplant doctor doesn't get to do anything except stand around until your doctor thinks it's likely to be hopeless. Most hospitals require two separate physicians to verify that you're actually dead before the transplant process can be done. There aren't very many transplant doctors, so unless you're at a major research hospital with its own transplant program, rather than a regular community hospital, the transplant doctor almost always is imported from some other hospital. This means that the doctors probably don't even know each other, much less each other's patients, and at the time the decision is made, nobody in the world knows which patient(s) will receive the organs. It is normal for an organ to travel hundreds of miles to a well-matched patient. how about if someone is HIV+? should he register as organ donor. HIV is something they always test for, so if you choose to register and you die in a way that permits a donation to be made, they are unlikely to accidentally give HIV to someone along with an organ. One way to handle this is to write a specific explanation in a "living will" that says something like, "I'd be happy to donate my organs if anyone can use them, but I have HIV, and the transplant team must inform any potential recipients of this fact." You can also write something similar if you have any condition that makes your blood or organs unsafe (or unsafe for people who don't have your rare genetic quirk, or whatever the situation is). Someone already pointed out the complications of some people being ineligible for donation, and I would like to add children to that list. My daughter has a condition that could eventually require an organ transplant. Should such a system allow someone like me to get priority on a child's behalf by registering myself for donation? I agree with this article's premise but wouldn't it be more efficient to just allow donors to become sellers? We are legally allowed to donate organs but we are not allowed to sell organs. Do we not own our own bodies? Are you OK with people dying while waiting for a kidney transplant when most of us have two kidneys and only need one? I think organ donation should be an opt out system where opting out puts you on the lowest tear for receiving an organ. Perhaps a more accessible marketing experiment would be to ask whether people would become blood donors if they became priority recipients after donating a certain amount of blood. I felt it most unfair to learn that South Africa's top blood donor, having donated hundreds of units over his lifetime, had no priority access to blood if he needed it. I see that arrangement as being a deterrent to would-be donors. Worrying about those who are not good donors is an unnecessary distraction, it's a totally solvable problem. To get priority you MUST be on the donor list no matter your condition. Your HIV or potentially cancerous organs may be useful to someone (someone who also may be low on the list). If not, then your corpse could be used to study whatever it was that makes you a poor donor.